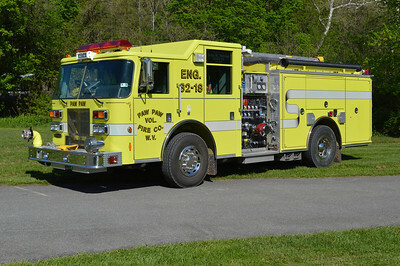 Paw Paw Rescue Engine 32 (old 32-18), a 2003 Pierce Saber with a 1250/980/20 and job number 14971. 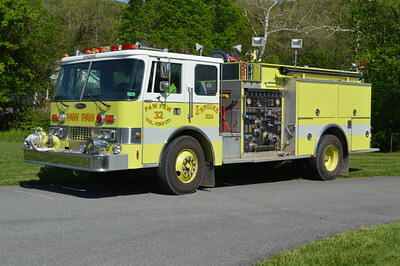 Engine 32-1 from Paw Paw, a 1985 Pierce Dash 1000/750/100 with job number 3105-01. Original delivery to the US Navy Cheltenham Camp, Maryland. It then went to Great Cacapon, WV where it never entered service. Paw Paw received the Pierce in approximately 2011. 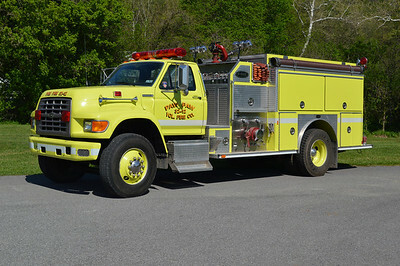 Paw Paw, West Virginia Engine 32, a 1994 Ford F/E-One with a top mount 1250/1000. Serial number 14085. 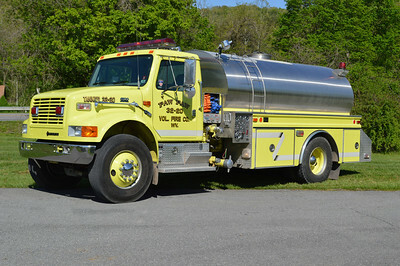 Tanker 32 from Paw Paw, a 1999 International 4900/4-Guys 500/2000 with serial number F-2020. 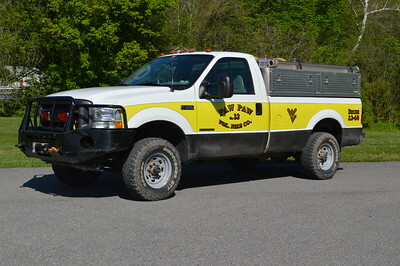 Brush 32 from Paw Paw, a 2002 Ford F350/FD with a 200 gallon water tank. 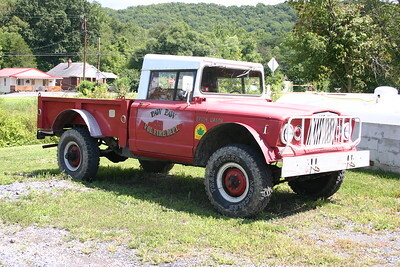 It was purchased used, and the skid came from an older brush truck. 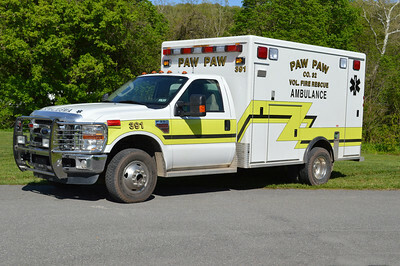 Paw Paw, WV Ambulance 32-1 (old 391), a 2008 Ford F350/McCoy Miller. 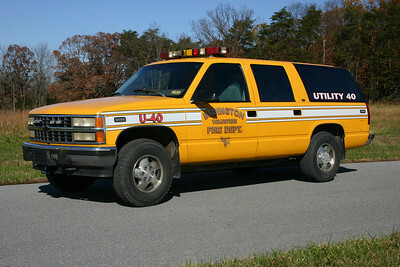 Former Utility 40 is a 1993 Chevy Suburban. Sold to Paw Paw, WV, in 2017. 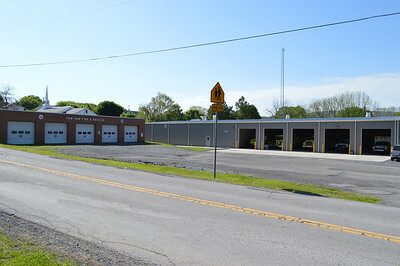 Former Paw Paw brush truck. 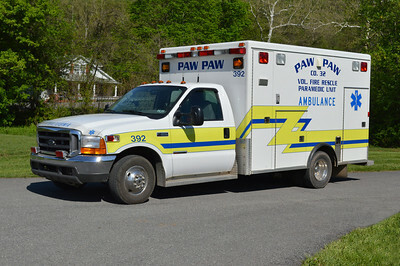 Paw Paw's Ambulance 32-2 (old 392), a 1999 Ford F350/McCoy Miller. 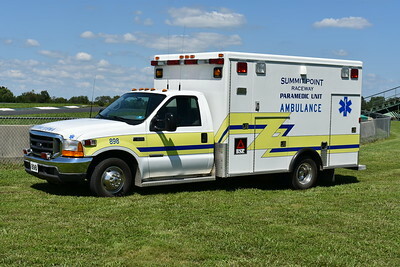 Summit Point's "898", a 1999 Ford F350/McCoy Miller that was received in 2017 from Paw Paw, West Virginia in Morgan County.